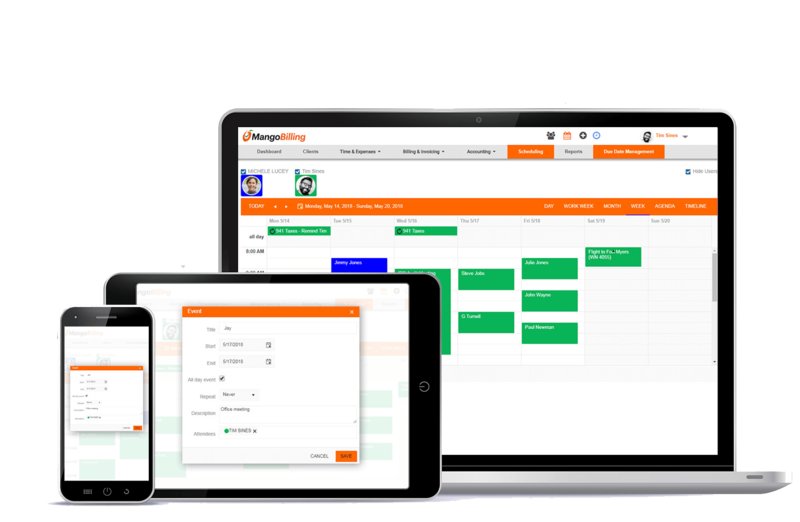 Firm-wide scheduling that takes managing appointments to the next level. Shared calendars allow for centralized scheduling. 2-way sync with Google Calendars. Our online scheduling application has everything you need to grow and manage your appointments for the entire business. Optionally turn on email notifications for staff. Select User calendars to view. Custom color for each user. Change views to Day, Work Week, Month, Week, Agenda and Timeline. Click any where on the calendar to quickly add an event. Change times or day by dragging event. Or delete directly on the calendar. Easily setup recurring appointments that can be edit individually or by series. 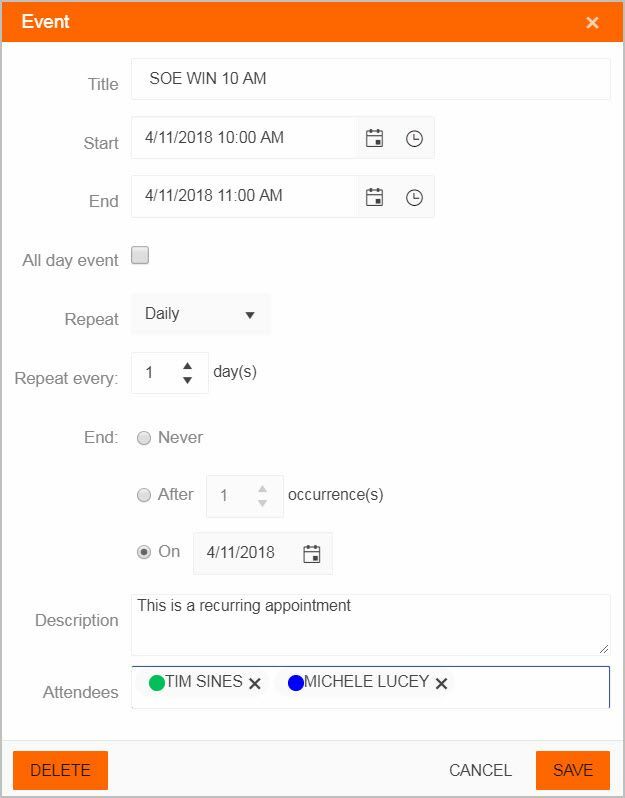 Ability to add multiple attendees for events. Easily designate an event as an All-Day event. The agenda view is available on each User’s Dashboard. Each user has the flexibility to set calendar options. Work Time Visible, User Color, Default View, Starting Weekday, and Default Time Interval.